meetings of all sizes—from large workshops to small group briefings. We are committed to continuing discussion throughout the project, ensuring all voices can be heard. 1979 Mission is a true transit-oriented development at only steps away from BART and Muni transit lines. 1979 Mission brings to life the City’s vision for the site as part of the Eastern Neighborhoods Mission Area Plan, approved and adopted unanimously by the Board of Supervisors in 2009. 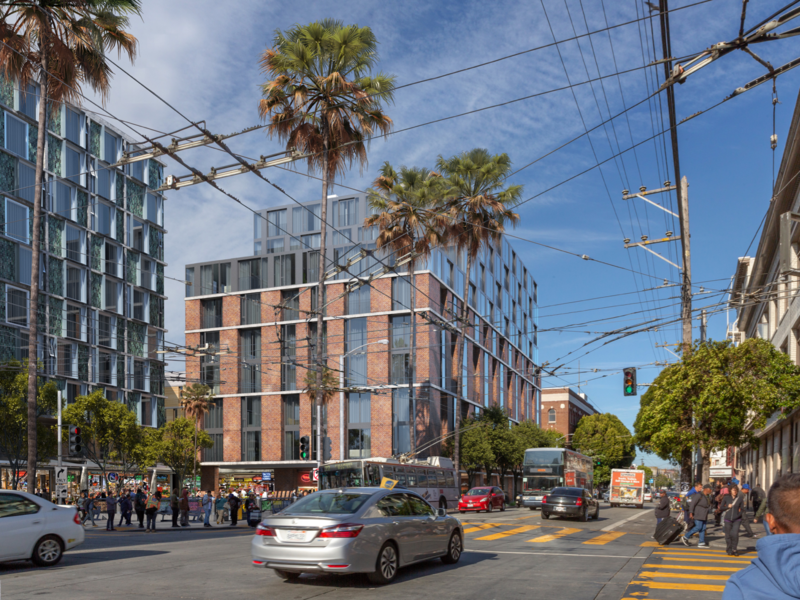 As a site earmarked for high density as part of the City’s Eastern Neighborhoods Mission Area Plan, 1979 Mission will provide much-needed housing at one of San Francisco’s most important transit hubs, offering 331 new apartments which don’t exist on the site today. No residents would be displaced from the site. 1979 Mission includes 32,000 GSF of retail with storefronts on Mission Street, 16th Street, and the 16th Street Mission BART plaza. 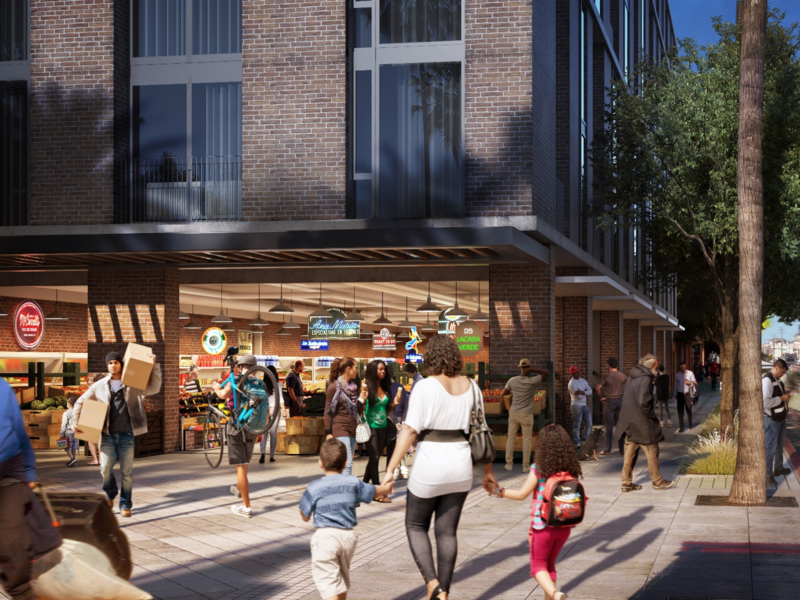 Retail will include a dedicated space for a pharmacy and a Mercado made up of individual stalls and vendors. 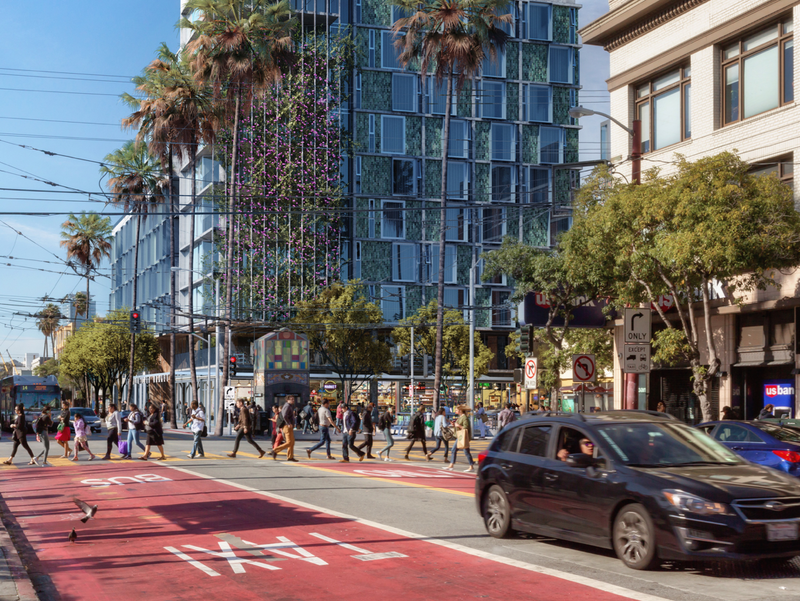 1979 Mission will be a visual and community focal point for the neighborhood, featuring the important transit hub and crossroads served by BART, Muni, and both UCSF’s and the future Chase Center’s Mission Bay Shuttles. In addition to the community focused Mercado and the gathering space of the BART plaza, common areas within the residential buildings of 1979 Mission will be available to local Mission artists to use as a gallery to display and sell their work. Through committed engagement with our neighbors and community members, we can work together to create a welcome, inclusive, and engaging 16th and Mission for all. A portion of the Mercado will be available to local Mission start-up vendors, artists, and crafters for free or deeply subsidized rent, providing local Mission business an opportunity to grow and thrive. 1979 Mission will be built with 100% union labor with opportunities for local hires, providing jobs for San Franciscans. The BART plaza is an important social hub for the Mission. By increasing the usable space of the BART plaza by 40%, 1979 Mission will improve pedestrian flow and make the BART plaza even more accessible to those who use it today. Replacing the blank walls that surround the BART plaza, providing the open storefront of the Mercado where local businesses and local artists can feature their wares, residents and visitors alike will engage in exciting new ways with the community. 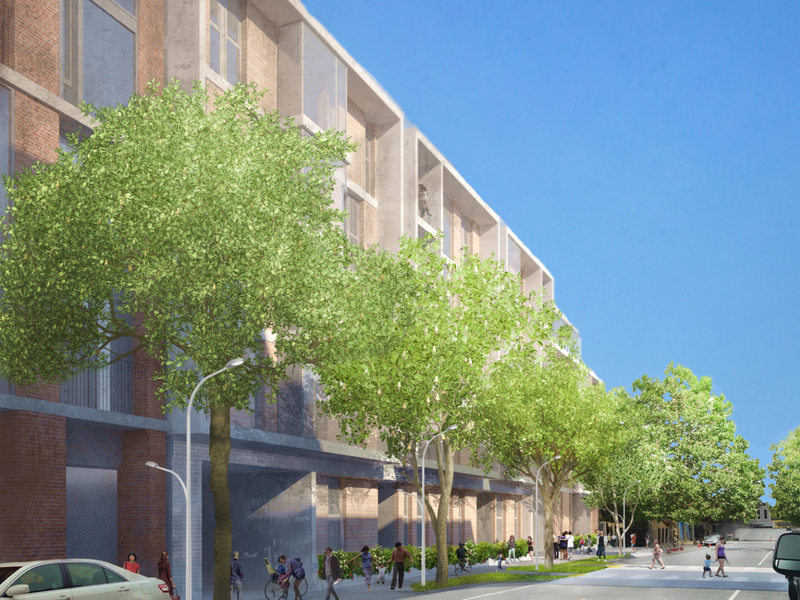 The pedestrian realm along the western edge of Capp Street will feature a 12 foot sidewalk, planted buffer, and new street trees spanning from 16th Street to 15th Street (which includes in front of Marshall Elementary), creating a safer route to school. Pedestrian bulb outs and raised intersection at Capp and Adair Streets will increase pedestrian visibility, shorten crossing distances, and provide a visual cue for vehicles to slow down.